France will be a top destination for thousands of Irish football fans who will be supporting the ‘boys in green’ during the UEFA Euro 2016 Championship from June 10th to July 10th. If you’re lucky enough to have nabbed a ticket and are making preparations for Euro 2016 chances are you’ve already made sure to locate the jersey, unfurled the treasured Irish flag, and your bag is full to the brim with all things green – green wigs, oversized St. Patrick’s hats (it’s not just for one national holiday you know) and yes, even green, white, and gold face paint. You’re all set so. But, are you really? What if something goes wrong with your flight, the accommodation, travelling in France, eating out, or there is a health and emergency issue? 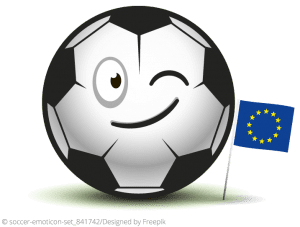 ECC Ireland, in conjunction with ECC France, has put together some consumer tips to help football fans, and those going along just for the craic, enjoy their stay. EU citizens are entitled to free movement to other EU countries and the Schengen agreement (signed by 26 Member States) enhances that right by enabling citizens to cross internal borders without being subjected to border checks. While France is a participating state, Ireland is not part of the Schengen arrangements on travel and visas. Well, put simply – bring a passport! When travelling in the EU it’s always good to bring a passport as a form of ID and to establish your right to travel freely. Plus, border controls may be temporarily reinstated or you may be subject to controls within France. If you are travelling by plane, you will also need ID to board and there are identity controls at train stations, especially for cross-border train journeys. However, EU citizens do not require a visa. Be aware that even though you are travelling in the Schengen area, luggage controls can be enforced and police and military presence will also be reinforced. If you need a passport, and have yet to submit an application, well, you may be in for a bit of a wait as the Passport Office is finding it rather difficult to keep up with demand. Euro 2016 fans, hoping to see Ireland take on Sweden at the Stade de France in Paris on June 13th, have been warned to submit their applications for a passport renewal in person rather than by post. To deal with the backlog of about 9,217 applications, the Department of Foreign Affairs has had to draft in 227 temporary clerical workers. For more, here’s the Irish Independent’s article ‘Backlog of passport applications sparks fears for fans heading to Euro 2016’. Euro 2016 is a time to celebrate and support your national team but remember to respect customs and in particular follow directions from local police and security teams who will be on high alert. In light of last year’s terror attacks in France, as well as more recently in Brussels, a state of emergency will be in place until at least the end of July. This will mean very tight controls at the Stade de France where the Republic of Ireland will face Sweden on June 13th. Increased security measures will also be in place for other matches including Ireland v Belgium in Bordeaux on June 18th and Ireland v Italy in Lille on June 22nd. Check your passport to make sure it is valid for the duration of intended travel. Make a copy of your passport and email it to yourself and a family member at home in case it gets lost or stolen and you need replacement travel documents. Apply for the new Irish Passport Card which is valid for travel within Europe and can fit in your wallet, allowing you to leave your passport in a safe place. As France is in a State of Emergency, a valid form of photo ID should be carried at all times in France. More advice from the Department of Foreign Affairs is available here. Make sure you have your personal ticket and a valid ID/passport (there may be controls in place). To arrive early (the stadium gates will be open 3 hours before kickoff). To check the list of prohibited items as you may be refused access to the stadium (please check UEFA Stadium rules for more information). 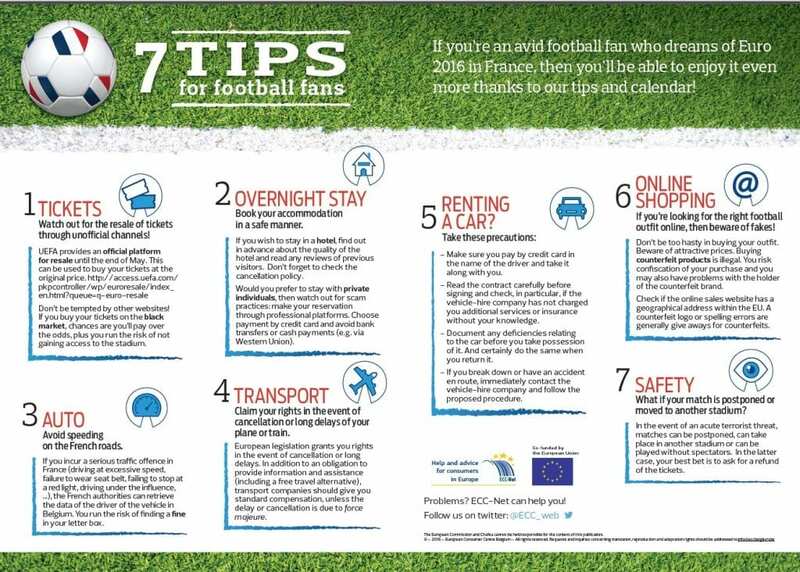 ECC-Net has put together 7 handy tips for football fans which is available to download here. It covers things like tickets, transport, or renting a car in France as well as match schedule. While you’re trying to squeeze all that green football paraphernalia into that already straining bag it is important to swot up on your air passenger rights. Regulation 261/2004 established common rules on compensation and assistance to passengers, which air carriers are obliged to comply with in the event of flight delay, flight cancellation, or denied boarding. So, this means you have the right to be informed of the circumstances of your journey in a timely manner before, during, and after the travel, and about your entitlements in case of disruption. Depending on the situation, you may also be entitled to receive assistance, be offered the option of continuing your trip or seeking a refund of your ticket. The air carrier should ensure that at check-in there is a clearly legible and visible notice with the following text: “If you are denied boarding or if your flight is cancelled or delayed for at least two hours, ask at the check-in counter or boarding gate for the text stating your rights, particularly with regard to compensation and assistance’. If an airline denies boarding, cancels a flight, or there is a delay of at least two hours, you should also be provided with a written notice setting out the rules for compensation and assistance. Find out more on flight delay, flight cancellation, and denied boarding. So you’ve arrived, but your luggage hasn’t? Or maybe the bag, with the important Irish jersey, is either lost or the luggage itself is damaged. What do you do? Go to the baggage claims desk, ask for a Property Irregularity Report (PIR), fill it out, and make sure to keep a copy for yourself. Make sure to keep your boarding card, baggage tags, and receipts of all necessary expenses as a result of baggage delay. Gather evidence of damage caused – for example, photographs, confirmation from an independent source, or receipts. You will only get a full refund if the item is brand new. Passengers have to prove items have been damaged or lost as well as their current value. If your luggage is delayed then you may need to purchase necessary goods. Before buying ask what the air carrier considers to be ‘necessary goods’. Ask if the air carrier pays a standard daily rate and how many days this covers. Seven days for damaged luggage. There is no time limit obligation for lost luggage. Checked baggage is considered ‘lost’ if it has not arrived at the end of 21 days from the date it was supposed to have arrived. You can then write to the air carrier to claim compensation. Under the Montreal Convention, you can claim compensation of up to 1,131 Special Drawing Rights (SDR) if your checked baggage fails to arrive on time or is damaged. Although, air carriers differ in their approach to offering compensation, you may be required to prove the extent of the loss, for example showing receipts or invoices. Claims must be brought within two years. Roaming charges have always been a bit of pain – you’re having a great time, make a few calls (even more annoying receive a few) and when you get home there’s a whopping great bill waiting for you. Well, the good news is that roaming charges will be much cheaper. Last year the European Parliament voted to fully abolish roaming changes by June 2017. From April 30th 2016, roaming charges are now cheaper. All mobile phone operators are only permitted to charge a small additional amount on top of normal domestic fees when customers roam in the EU. It is estimated that this reduction will make it four times less expensive to use your phone in the EU. More information on roaming tariffs. You should receive written confirmation of your reservation and the price from the hotel/accommodation manager or owner. If you made your booking with a travel agency, the agent has to give you a document describing the place you have booked. The type of accommodation, as well as the information concerning the building, the insurance cover, and the administrative and environmental health formalities, must be clearly set out. It is customary in France to confirm the booking two weeks before the date of arrival to be sure that the booking was properly recorded, and that the room has not been let to another person. Make sure to check the terms and conditions paying particular attention to cancellation procedures. If you have to cancel the accommodation and a time frame for cancellation has not be set out, then you should inform the hotel at least 24 hours before the planned arrival date. In the case that they are not able to rebook the room, you may be subject to pay the full price. Even in the case that you have to withdraw from the contract because of extraordinary circumstances (force majeure), only a court can decide whether cancellation costs are justified or not. Arrhes: When a contract refers to a down payment as ‘arrhes’, the guest cancelling a reservation will not be able to get the deposit back, except in the case of force majeure (i.e. circumstances beyond anyone’s control). On the other hand, if the hotel has to cancel the booking then it should pay double the deposit back to the client. Acompte: This is the most common form of deposit in France. A guest who has to cancel will be obliged to pay damages to the hotel. On the other hand, if the hotel cancels, the guest is entitled to ask for damages. Find out more information from ECC France on hotel rating, tourism tax, theft and damage, and what to do when there are unexpected accommodation surprises. ECC France also has information on the types of accommodation available in France. 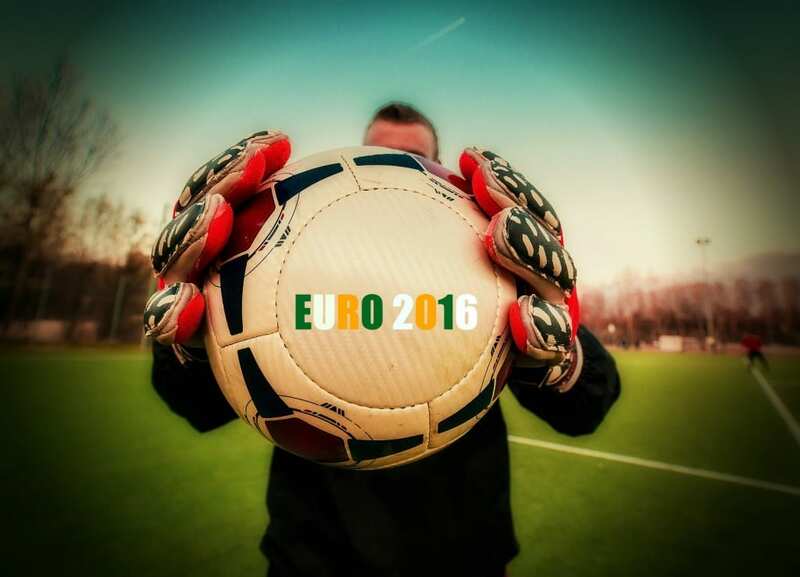 There are 10 cities hosting Euro 2016 matches so there’s a lot of moving around and cheering to be done. 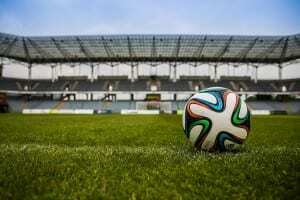 To make it easier for footie fans we have put together some transport tips, and the good news is there is lots of choice. You’ll also find information on subway and general information when visiting Paris on RATP website. In France, the main railway service is SNCF (Société Nationale des Chemins de Fer). After booking your ticket on the SNCF website you can either print it out (e-billet) or print it in a free-access SNCF terminal in any French train station (and some train station in Belgium and Luxembourg). You will need to use the credit card you used to pay for your ticket online. It is recommended not to use the mail delivery service just in case the ticket doesn’t arrive in time. You can also purchase a ticket at a SNCF desk in the train station or at a SNCF shop which are located in most city centres. A ticket can be bought directly at the free access terminal. If you travel with a paper ticket, do not forget to validate it at any yellow punch machine before going on the train platform. Be aware that to travel on the high speed TGV train a reservation is mandatory and you will need to be on the platform five minutes before the departure of the train. You can find them at taxi ranks (indicated by a square sign saying ‘Taxi’ in white on blue background), or hail a taxi on the street. The fares are regulated in France according to the city, the time, and destination. The taxi driver has to accept cash payment. He/she can refuse certain methods of payment such as check or credit cards but this refusal has to be clearly indicated on the outside window of the vehicle. More information about taxis in France. You may be on the go a lot when marching from match to match but try not to be lured by the usual fast-food joints. Instead, make sure to enjoy some of France’s wonderful cuisine – the reason it has such as good reputation for gastronomy. There are many restaurants to choose from. Prices are not regulated but please note that restaurants must show the prices outside and inside its premises. The bill includes taxes and service. Giving a tip is not an obligation but its always welcomed. More information on restaurants in France. General opening hours for shops are Monday to Saturday 9am to 8pm. Some supermarkets are open 9am to 8pm or even until 10pm. Smaller shops may close from midday to 2pm and on Monday mornings. Shops are usually closed on Sundays and public holidays except the small food shops like bakeries which are often open in the mornings on Sundays and public holidays. In larger towns, small groceries (épiceries) stay open until midnight. Banks are open Monday to Friday 9am to 5pm and Saturday 9am to 2pm. Please note that not all banks are open on Saturdays and some are closed on Mondays. Post offices are open Monday to Friday 9am to 6pm and Saturday 9am to 1pm. Please not that not all post offices are open on Saturdays. Prices are freely determined by traders (except for regulated sectors such as taxis, energy, and books). Traders are obliged to inform consumers about prices, taxes, and invoicing. The price should be displayed and easy recognisable outside or inside the shop (depending on the placement of the product) and should also be displayed on the product or on a nearby signboard. The standard VAT in France is 20%. A return of the product can be accepted by some shops but just as a goodwill gesture. It’s always good to check the return policy of each shop and to keep your receipts. EU legislation (Sale of Goods and Associated Guarantees Directive 99/44/EC) provides a number of rights for consumers across Europe when buying goods and services. 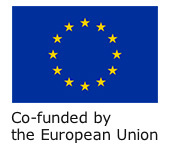 Find out more on buying goods and services in the EU here. For any distance contract (by phone, fax, mail, or on the internet) you have the right to cancel the contract within 14 calender days. Click here for more on your consumer rights while shopping online. If you buy a product in France that is defective or does not conform to the order, you can ask for repair or replacement in accordance to the legal guarantee of conformity (article L221-4 to 221-10 of the French Consumer Code). It applies to every good, new or second-hand, for the two years following the delivery. In France, there’s also a warranty against hidden defects (article 1641 of the French Civil Code). The legislation is applicable to every goods and whoever the seller is (professional or private individual). You are allowed to claim against the seller or the manufacturer within the two years following the discovery of the defect, if you prove that the item was defective before the purchase and that this default had been hidden. A hidden defect means that the product is unfit for the use it was untended for, or the product becomes useless, or its value is lower than the price you paid. You have the choice between returning the product, getting a reimbursement or keeping the product and getting a partial refund based on an expert’s opinion. More about the legal guarantee of conformity. In France, when buying some brand products, you may encounter counterfeiting. Be aware that the sale of fake goods is illegal – under French law you could be fined up to €500,000 and face a maximum sentence of five years. French customs officers can confiscate and destroy any counterfeit products during control inspection. Before travelling, write down your credit card number and its expiration date but make sure to keep this information separate from your wallet. You should also note phone numbers that will be essential in case of loss or theft of your credit card. As soon as you realise your card has been stolen or lost, contact your bank/credit card company to block/cancel it. You can dial the European emergency number – 112 – from anywhere in the EU, using a landline or a mobile phone, free of charge. A specially trained operator will connect you to the police, ambulance, or fire brigade, depending on the emergency. The operator should be capable of answering emergency calls in various languages. 15: Sauvegarde des vies humaines (SAMU) for medical emergencies. SOS Médecins (Paris – emergency doctors): 0033 1 47 07 77 77 (from a French telephone line you can also dial 0820 332 424). If you are an EU citizen and have health insurance you are entitled to emergency care in accordance with the legal benefits of the state in which you are treated (in this case France). So if you get sick in France, or are injured in an accident, you can get some care for free, but in most cases you will have to pay in advance for medical costs. To obtain a refund (at least partially) for medical expenses you need to present the European Health Insurance Card (EHIC) to a French doctor or in a French hospital. This card replaces the E111 form and other EU forms (E110, 119, etc). You can apply for the European Health Insurance Card (EHIC) here. It’s a good idea to apply before travelling and for each member of your family to have one. For more information on the EHIC click here. Expenses will be refunded accordingly with French tariffs and regulation. Please note that the amount you will be refunded depends on the care you received and if it is covered. For this reason it may be useful to apply for extra insurance, such as health or travel, to cover extra costs. If you have a chronic condition which could result in needing treatment abroad, you should contact your usual health provider for information about appropriate medical centres during your stay in France and about associated costs. A Republic of Ireland team match against, well anyone, would not be complete without the ardent fans encouraging the ‘boys in green’ with footie tunes and chants. The golden oldie and still the all time favourite is of course ‘The Fields of Athenry’ and in case you’ve somehow forgotten the words here’s a link to the song along with the French translation so you can sing it with your new French mates during Euro 2016. ECC Ireland will certainly be singing along!